Dr. Kenneth Akey, MD Pediatrics (Newnan) - Book Appointment Online! Are you looking for a quality pediatrician in the Newnan/ Atlanta area? 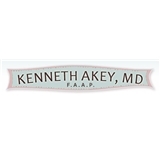 Dr. Kenneth Akey, MD, FAAP is a professional pediatrician with more than 25 years in private practice. After moving from California Dr. Akey is now located in Newnan, Ga. He offers unparalleled pediatric care to families like yours. Check him out of kennethakeymd.com and Facebook under Kenneth Akey M.D. Pediatrics. Absolutely loved my visit with Dr. Akey. He answered all my questions and concerns and was very supportive of my plans for my baby.